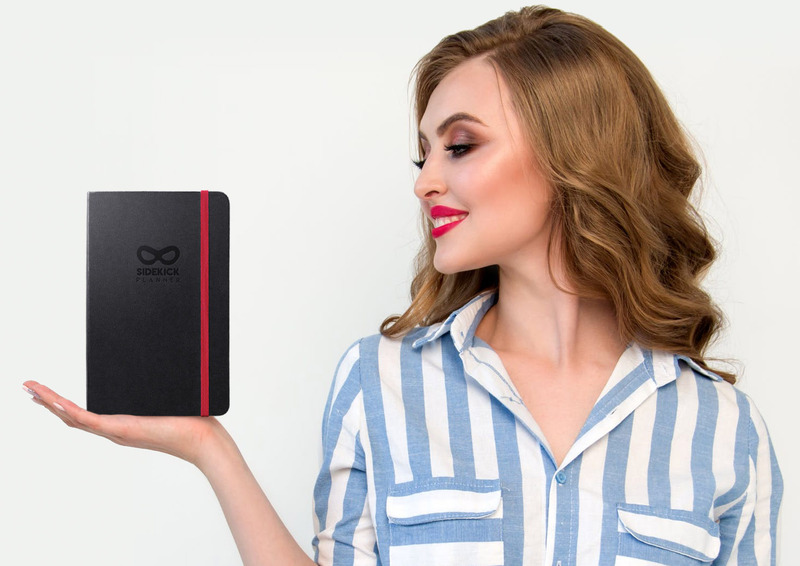 Sidekick Planner is your ultimate planner & journal what helps to take control in your life, fulfil your potential and achieve your biggest goals. Your Sidekick’s been designed after careful research on topics such as neuroscience, spiritualism, the law of attraction, human behavior, habit formation, goal settings, success, and self-development. Experimented and tested through trial and error we discovered the best goal setting method to bring clarity and happiness in your life. Prioritising is a skill. With Sidekick's system you'll build this skill fast and easy, and you'll always stay on top of your to-do list. By looking back to your last week's best moments, you'll make improvements and plan your next week accordingly. Balance is key. You'll find the balance in the four main pillars of life: Health, Wealth, Love, Happiness. Time is your most valuable asset. 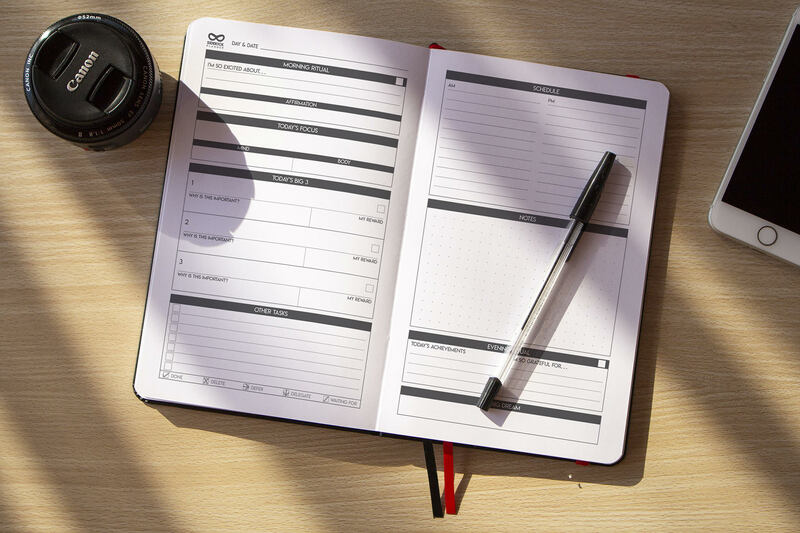 You'll find it easier and clearer to manage your time wisely with your Sidekick Planner. With the built in habit tracker you'll find it easy to never skip that gym session, and just to stick with any habit you want to build. Live a happier, more fulfilling life. Set aside the stress and concentrate on all the positivity in your life! Princeton University studies has shown, students who take notes on paper learn and retain more than those who use laptops. As we all know, digital devices can be especially distracting. When it comes to focused work, they can get in the way by tempting you to multi-task when you should be working on one task at a time. 1. Handwriting ensures better decision making process. 2. Paper planners let you focus on what matters most. 3. 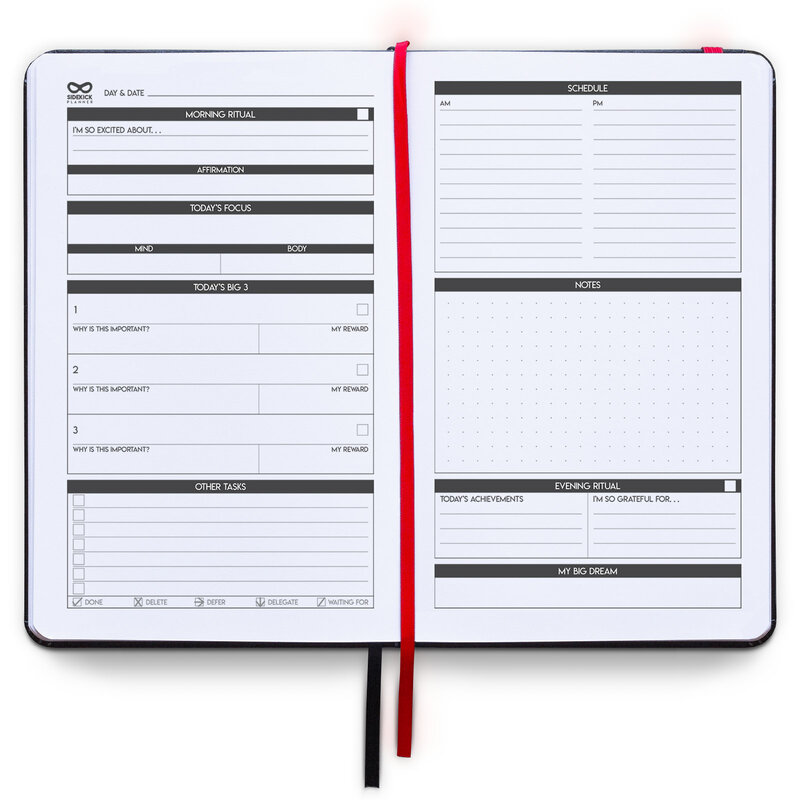 Paper planners add importance to your notes. 4. You can customize it to your personality. 5. Using them convenient and easy. What's your focus for the day? Use the power of 3! Tackling the 3 most significant tasks for the day is a guarantee you'll achieve your big goals! List and crush your secondary goals each day! Work as you wish! Non numbered schedule for your needs! Infinite possibilities here. Note, journal, brainstorm ideas. Focus on all the positive things each evening, and practice gratitude. Writing down your big dream before bed what makes you motivated on the mornings. List the 3 things you'll be better at next week. Infinite possibilities. Note, journal, brainstorm ideas. Kickstart your week by listing out what you're excited for! Challenge yourself weekly! Set small, everyday challenges and when the week is gone, reward yourself! Set and track your habits daily! Undated planning for your convenience. Pick up your planner any time of the year, and start crushing those goals! Keep a balance! Set goals for every area of your life! Write down the main tasks for the month! Nothing fancy, just some bullet points to keep an eye on the bigger picture. Infinite possibilities. 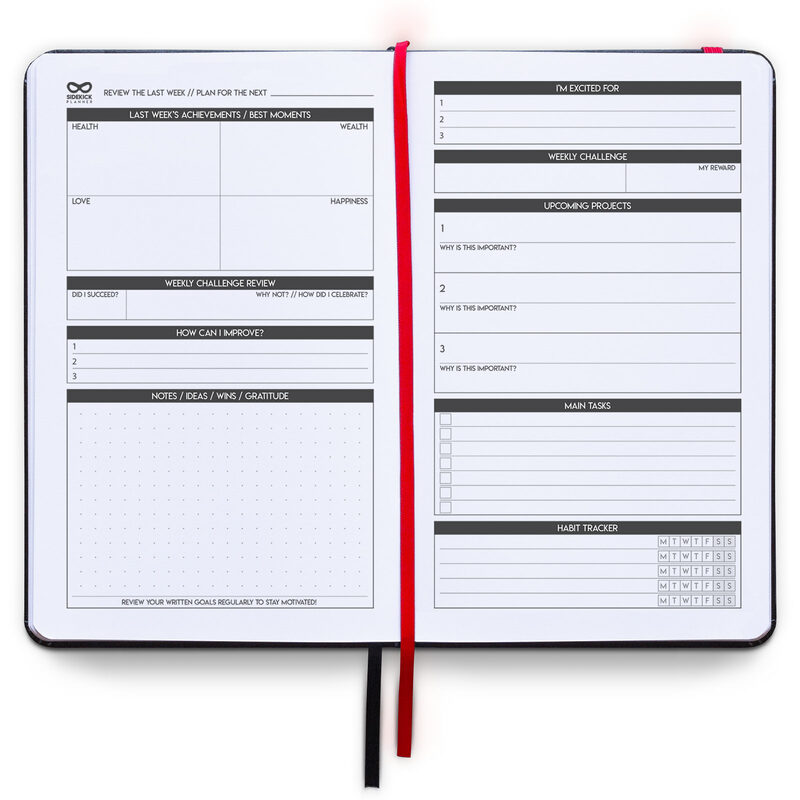 Note, journal, brainstorm, or reflect on the monthly goals. 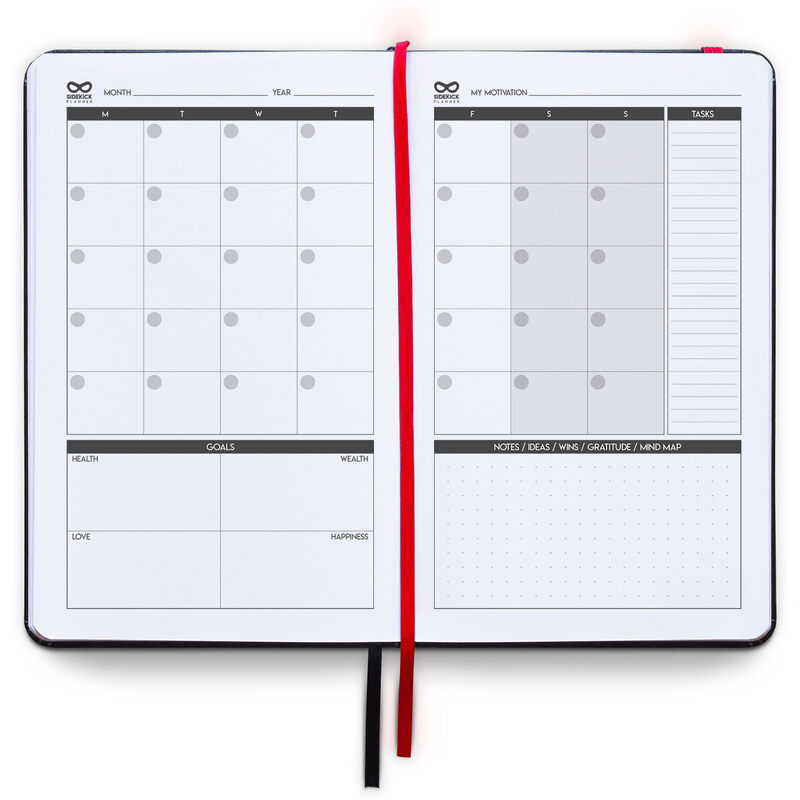 After trying dozens of different planners, I realized none of them resonated with my agenda. 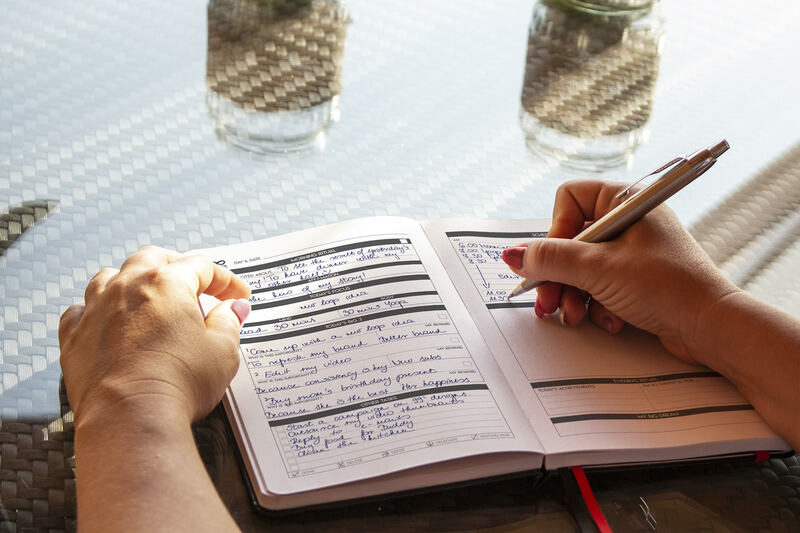 After reading hundreds of books about spiritualism, human behavior, habit formation, success, self-development I felt confident enough to come up with my goal planner and use it on a day to day basis before publishing it. I have been perfecting it for over two years and I would like to think of it as still evolving just like life itself. My primary motivation is to give a helping hand, a sidekick to as many people as I can. Setting and achieving goals are the most challenging tasks someone can think of. I hope this planner brings you clarity, meaning, and purpose in your life.